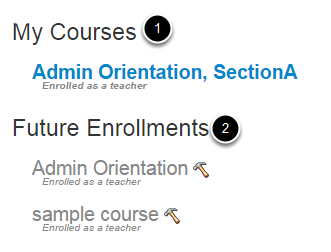 After logging into Sublime LMS, you can view your current, past, and future enrollment courses in Sublime LMS. 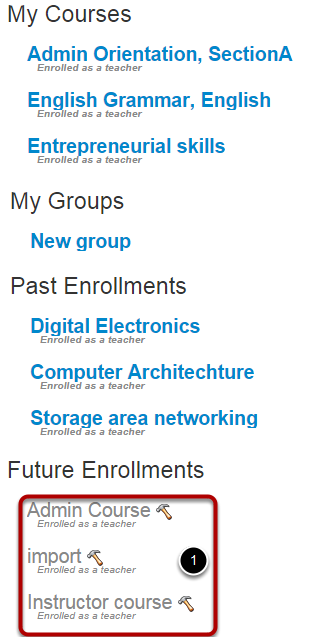 At the bottom of the drop-down menu, click the View All Courses link . Note: You can customize your courses that appear in the drop-down menu. Courses are organized into three categories: My Courses , Past Enrollments , and Future Enrollments . 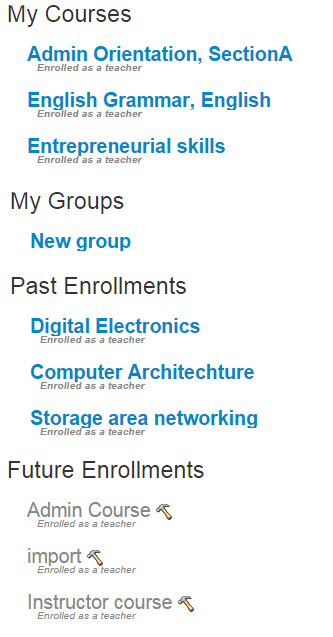 Courses that are available to you are listed in blue text . These courses have been published by your institution, admin, or instructor and include a link to the course. Courses that are not yet available are listed in gray text and have an unpublished tag . These courses have not been published. 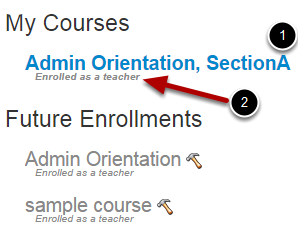 Your enrollment status  is displayed next to each course name. Statuses can be student, teacher, TA, observer, or designer. My Courses are courses that are part of the current semester or term. However, depending on access settings for a course, My Courses can also display courses that have not yet started or are unpublished. 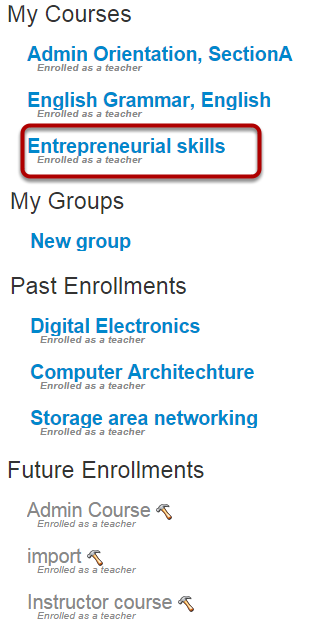 Note: if you are enrolled in groups, the My Groups section will appear and display any groups within your current courses. Future Enrollments are courses that will be made available as part of an upcoming term or specific course start date. These courses appear in gray text  until they are available. Note: Some institutions may disable the option to view Future Enrollments. To open an available course, click the name of the course.